Click to search by Gamertag or PSN. Note: Mobile and Nintendo Switch are currently not supported. 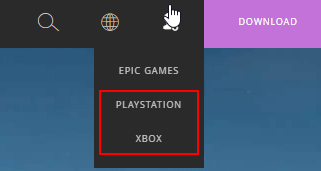 Use the Console Search tool on the right, or above, to search for Xbox Live and PlayStation accounts without requiring an EPIC account name. How can I find people with just a Gamertag or PSN ID? Login (DO NOT LINK) with your PlayStation or Xbox account on the official Fortnite site. If you are already logged into an account, Logout first. If prompted, create a new Epic Account with the display name you want to be searched with. Your Epic Account name should be shown in the top right corner of the page. Return here, or to the app, with your Epic Account name and search for your stats. When I register, it says my name is in use? This can happen. You might have another Epic Account, or someone else has taken it. If you know its yours, you can log into that account and change its name. The name should become available to register your new Epic Account. Can I unlink my account and link it to another? No. We highly discourage you to unlink your PlayStation or Xbox account from the newly created Epic Account. By doing so there is a high chance you loose your progress and/or bought items. Console search allows you to lookup your profile using your Xbox Live Gamertag or PlayStation name. If the name is linked to an EPIC account, we will redirect to that. We recommend account owners to make an EPIC account.